AOC says she is bored and does push-ups to pass the time! 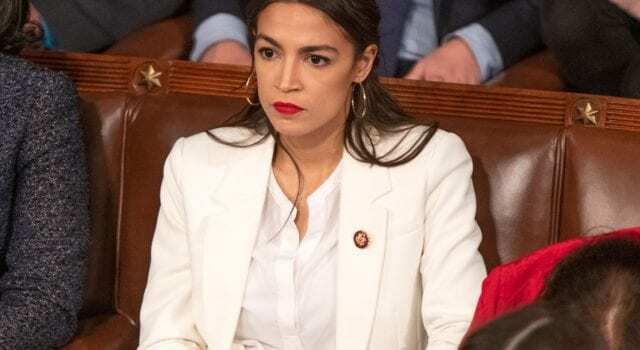 U.S. Rep. Alexandria Ocasio-Cortez took to social media Friday to show her followers how she dealt with what she deemed a “boring” hearing. The New York Democrat posted a video on Instagram showing she and Rep. Jimmy Gomez, D-Calif., doing push-ups during a recess the day before. Ocasio-Cortez, wearing heels and a suit, can be seen going push-up for push-up with Gomez until the pair completed five repetitions. Someone can be heard saying, “Alright, back to work” as Ocasio-Cortez stands up. Rep. Rashida Tlaib, D-Mich., is also seen in the video cheering Ocasio-Cortez on. “Don’t judge me, I def fell off the workout wagon and am trying to get back on again.” she added to her post. It was not clear what specific hearing Ocasio-Cortez was taking an exercise break from. Previous articleCould you trust Facebook Coin ? Next articleDrag Queens reading to you little Children – Whats the problem?